Krieger expresses his belief that “everything will be fine in 20 years” (regarding censorship etc.) and rambles on aimlessly about this belief without giving any coherent reason for it. He says we need open source code in social media but social media alternatives that are open source already exist. In this context we can only assume that he is advocating that open source code be mandated for social media operators which is a terrible idea. Open source social media already exists and is widely eschewed by the general public in favour of Facebook/Twitter etc. Given this is the case and has been for some time when does the ephemeral public pushback against censorship Krieger believes in start? jarmstrong unfortunately I have to agree with you here. Krieger didn’t actually say that “everything will be fine in 20 years” but he he did say that we will be more free with our communications than we are now. Those aren’t very comforting words to me, especially as you say when his recipe for success is simply to have more open source code for social media platforms. In an altruistic world perhaps, not in the world we live in here on earth. Twenty five plus years ago when the internet was starting to get on its feet, I was hopeful about where it would go. However the commercialization and censorship of the net that I am now seeing on a yearly and even daily basis leaves me with a pessimistic view of where global communications is heading to in the future. And even the open source can get bought up by a billionaire as in the case of MySql, which is the backbone database of wordpress.org and others. Never let a crisis go to waste? Seems very convenient or even a ‘coincidence’…..things that make you go ‘hmmm’..
Where is Guy Fuchs when you need him? Solutions are many times not applied in a timely fashion with the most disastrous consequences. Our good nature has always worked against our own best interest. It appears the social credit social Stasi has become the preferred choice. There has never been a good time and there has never been a better place. 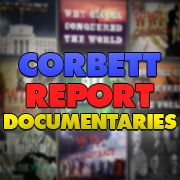 This post truth world has caused the convergence of histories to be restrained and retarded just long enough for the populace to realize we have not always been under a social credit system. We have not always been threatened by the social Stasi behavior police. We can see behind the curtain if we will just set our good nature aside and look. We don’t have to go along to get along anymore. We could make a decision and a commitment but that would take a risk. Groundhog Day or April Fools Day. I challenge you to Make a choice. Doing nothing is also a choice but it defaults to repeating the past. I like the Ole English spelling and I can use the new, meet Guy Fawkes. Del Bigtree, gave an impressive imaginative speech with a twist. Labrenthina, does set one to thinking. Hmmmm? If that doesn’t define Big guv’ment I sure don’t know what would. Double trouble think. Please interview magnora7 about his SAIDIT.NET alternative to Reddit, the pros and cons and hurdles of it, and the few policies for maintaining a classy site with freedom of speech. Also, we need help figuring out a way to decentralize it. FYI : It was my article (now since corrupted by other wiki users) that was referenced on the Prop Or Not list that was referenced by the Washington Post. Good points all ’round. I especially liked this one. “if you cannot win in the free exchange of ideas”… then you are on the wrong side. If anyone should be expunged and/or jailed for whipping up lies it’s Rachel Maddow and her buddies in journalistic crime. A new crash of convenience? Dare I ask why, Calibrator? Because she’s rich? Do you have additional info about her? I didn’t find anything after a 30-second check. Some sort of BOLI or COLI scheme? Was gibt’s Neues vom Flughafen? No additional info, but if I were to investigate I’d look into the ownership of the airline first. Perhaps a family problem that was resolved conveniently? Thanks James for your research and presentations. It is frustrating that many people avoid the Internet, saying it is a Tower of Babel and are unable or unwilling to sift through it but prefer to be spoon-fed by TV and Fake Media, who regurgitate stories till memorized by the unwitting public i.e. brain-washing. However, the Truth-Kernels are worth the search and once the door is open, there’s no way back-in. Following ‘Trusted Sites’ is the way to go for an exercise in critical-reasoning and for sifting wheat from chaff. I am regularly plagued with offers of free Optic-TV’s and special deals on insane Internet-Upload-Speeds and the push to update Technology and Anti-Virus software for security reasons and the municipal-credits for Smart-Home Products (bulbs, meters, furnace, cameras etc.) and the Industry-Education on doing the above and the Stores that do not satisfy my needs and much, much more. In some countries, Home TV is mandatory and presently Wireless and Cloud-Based Systems are taking over from PC’s and their HDD’s, which allowed for some control over personal material. As to Security Cameras, the trusted Analog and MPX DVR is also being retired, as they can be used without Internet-Connections but, we are warned, that cloud-based UPDATES are essential as occurs with the continuous Windows-Updates ‘To Keep Us Safe’. It is interesting, frightening, isolating and frustrating to see this Agenda Unfold before our very eyes, while others see nothing at all. Around 2000 years ago or much earlier, these words were written, “…They have eyes to see but do not see, and ears to ear but do not hear…” Too bad! “Open Source” is like “Blockchain” a slogan that is passed around to give everyone a warm fuzzy feeling. That is all it will every be. Do you think corporations fund open source projects out of love? Consider the example of Android and the control this free software gives to Google. It is attractive to larger players because it gives an illusion of openness, but with the growing complexity, it is only for the large players. Consider the simple idea described at http://ShofarCoin.com. It is too simple and there is no money to be made. Do you think it will ever fly? Feel free to build something on the idea, but watch your back. Very good points. To add one more thing about the warm fuzzies of “Open Source” (not mentioned on the shofarnexus link): it becomes a bit tricky in a client-server architecture of social networks on the internet… Traditionally you might download some software and run it on your own computer; if it is open source, you can look at the source code and see what it is doing. When you visit a website however, the software is running on the server (i.e. someone else’s computer). It could very well be running open source software, and the owner can tell you “here’s the source code!”, but there’s no guarantee that corresponds to the actual software that is actually running on the server when you visit it in your browser, and there’s really no good way to validate whether or not they’re telling the truth. So the warm fuzzy idea of “open source” is not so much help when the underlying problem is really an architectural issue with centralized authority! Claude Beget talks about Gold as a reliant currency compared to other currencies, and his forecast moving forward. Earlier, he mentions that the Central Banks are buying lots of gold, making gold an ‘official’ bull market. Alex Jones, in an Olympics-worthy display of high-wire controlled opposition, assumes the mainstream world’s mass psychosis as a personal psychosis all his own. 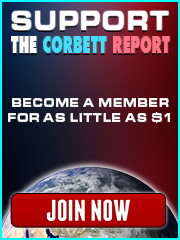 Is The Corbett Report one of the most censored websites ? A new white paper proposal from those caring chaps in Westminster to regulate the internet. Another nail in the coffin. …I wonder how “independent” that watchdog will be? Hmmmm. …Media Secretary Jeremy Wright said the proposed legislation – the toughest in the world – would apply to any company that allowed users to share or discover content or interact online, such as social media sites, discussion forums, messaging services and search engines….